General elections, so far, have been dominated by a four-letter word: Modi. His biopic has been delayed, but the NaMo channel is on air. And for those who prefer fiction to reality, there is Modi: A Common Man's Journey, a ten-episode web series. The publishing world, however, chose to be a little different. While the election season has brought with it several books, not all of them are Modi-centric. The biggest political book of the season, if Rupa Publications is to believed, is by a man who is not fighting the elections at all—Lalu Prasad Yadav. One of the most entertaining and ingenious leaders of modern times, Lalu Yadav is behind bars, but that does not prevent him from making his presence felt. 'Gopalgunj to Raisina', his biography, will hit the stands soon. The biography of Lalu Yadav is part of this trend. 'Gopalgunj to Raisina', co-authored by journalist Nalin Verma, will see Lalu Yadav on complete disclosure mode. The book will shed light on aspects like L.K Advani's arrest, the Emergency and even little known facts about his relationship with his friend-turned-foe Nitish Kumar. While Lalu's book may be the most colourful, he is not, by far, the only politician to turn to writing. Jay Panda, who has recently joined the BJP, has come out with 'Lutyens’ Maverick: Ground realities, Hard choices and Tomorrow's India', a book that repackages his thoughts for a new audience. The book has been published by Rupa. Publishing houses seem to have realised that the election season is the time to mint money. Penguin Random House India has brought out 'The Great Disappointment: How Narendra Modi Squandered a Unique Opportunity to Transform the Indian Economy' by Salman Anees Soz. The young politician, who has worked with the World Bank, looks at if acche din ever arrived? 'The Third Pillar' by Raghuram Rajan, may not be about elections, but certainly a political book, and came out at the right time. There is also 'How to Win an Indian Election: What Political Parties Don’t Want You to Know' by Shivam Shankar Singh, as well as a scholarly work by S.Y. Quraishi, 'The Great March of Democracy: Seven Decades of India’s Elections'. These books are aimed at the interested political Indian who wants to go beyond just the regular aspects of politics to understand deeper questions. And for those who really want to go beyond polls to understand the political landscape in terms of caste as well as class and even gender divide, Oxford University Press (OUP) has a host of books. Written by eminent thinkers over the years, OUP is bringing out their popular titles to cater to the discerning reader. 'Performing Representation' by Shirin M. Rai and Carole Spary takes a hard look at Indian women and their representation in the Lok Sabha. Then there is of course Wendy Doniger's 'Pluralism and Democracy' for anyone who wants to know whether the real India is under threat. So, as the battles heat up for the politicians, it does too for the publishing houses. 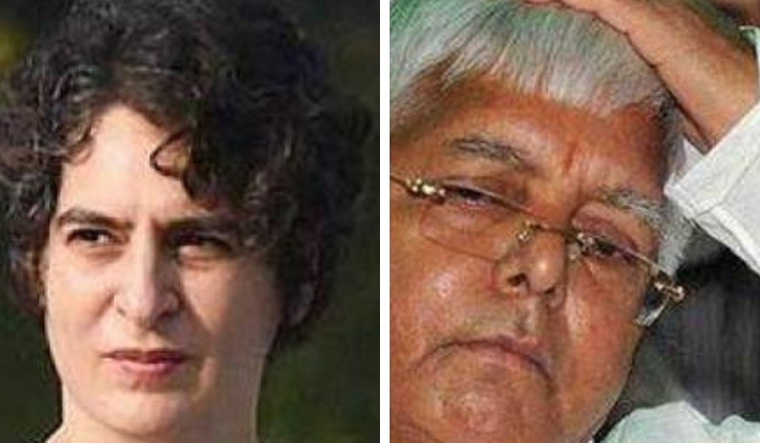 Lalu Yadav's may be the biggest political book, but the rumour is that Priyanka Gandhi is out with her book too. And soon. Lalu Yadav may be more interesting, but Gandhi might be the best seller.